How many Pellets Does it Take to Heat a Home? 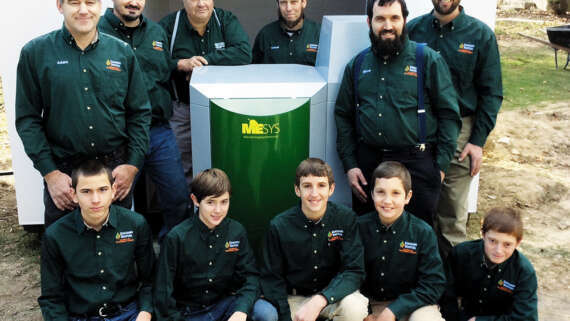 Are you considering switching to wood pellets to heat your home? It’s an important question because pellets cost money. You want to be sure of making a wise choice by switching to heating your home with wood pellets. According to the Pellet Fuels Institute (PFI) the average homeowner will need 2 to 3 tons of wood pellets to heat their home annually. But what is average? In this case, they mention an average sized home is 1,500 to 2,500 square feet. But there are many variables which will change the number of pellets needed to heat your home and thus the cost. 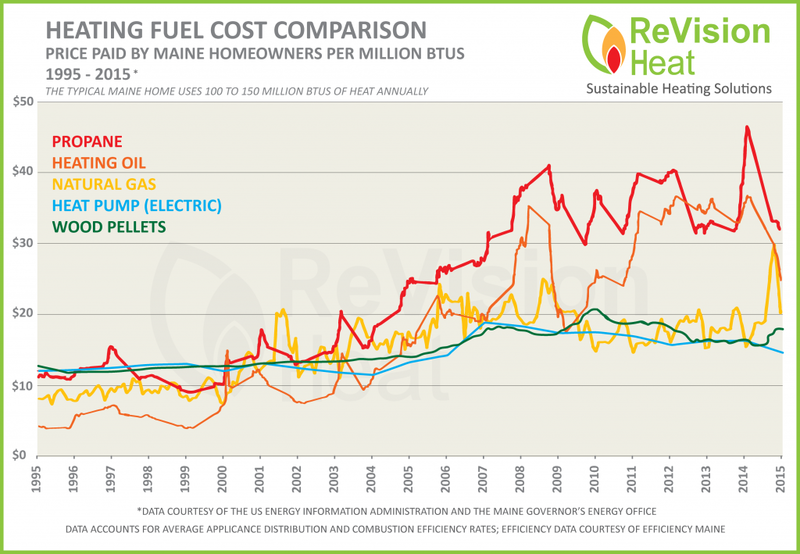 Of course, maybe you are looking at the eco-friendliness of heating with wood pellets and not as concerned about the costs. But either way, it is important to know how many pellets it will take to keep you cozy all winter long. So let’s jump right in and figure out how many pellets it will take to heat your home! 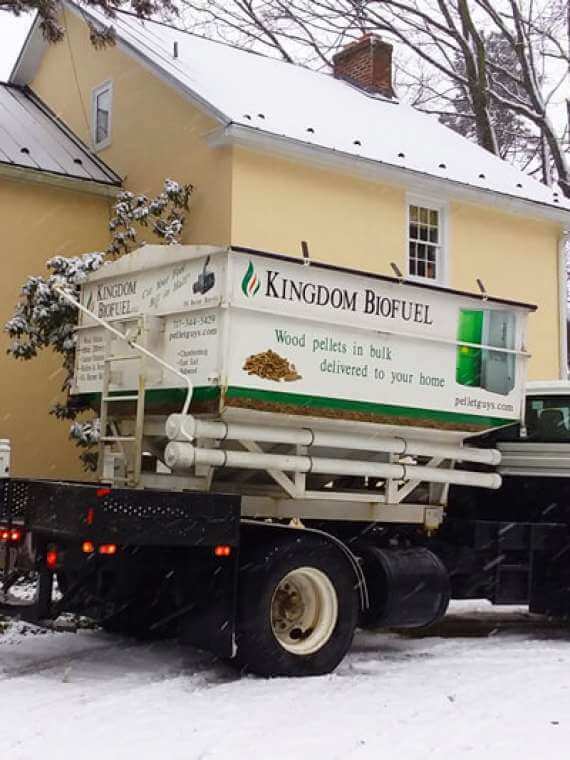 First, Why choose to heat your home with wood pellets? Actually, for starters, I’d like to consider why pellets are a good choice in the first place. There are numerous reasons to start burning wood pellets to heat your home and we outline 20 Reasons to Switch to Heating with Pellets on our website (you can watch the video below). But just for a teaser, I’ll give you a few. 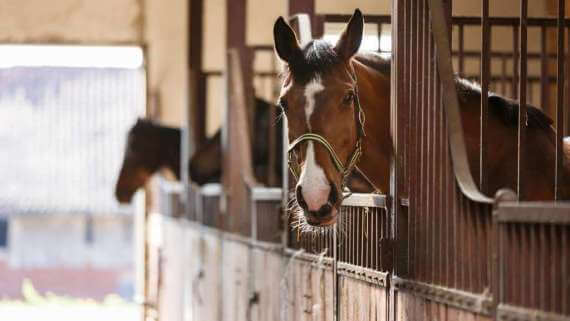 Did you know that wood pellets are made from sawdust and shavings that would otherwise be thrown out and left to rot and fill the air with carbon? 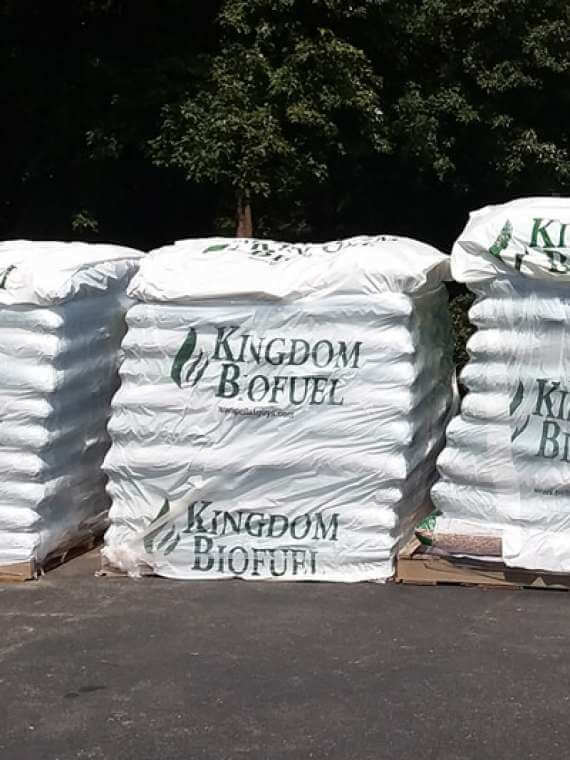 (see our pellet mill) So rather than leaving the sawdust decay on its own, Kingdom Biofuel and other pellet companies collect that waste and turn it into pellets. Now, rather than the air filling with harmful carbon for nothing, you can heat your home while helping keep the landfill cleaner! 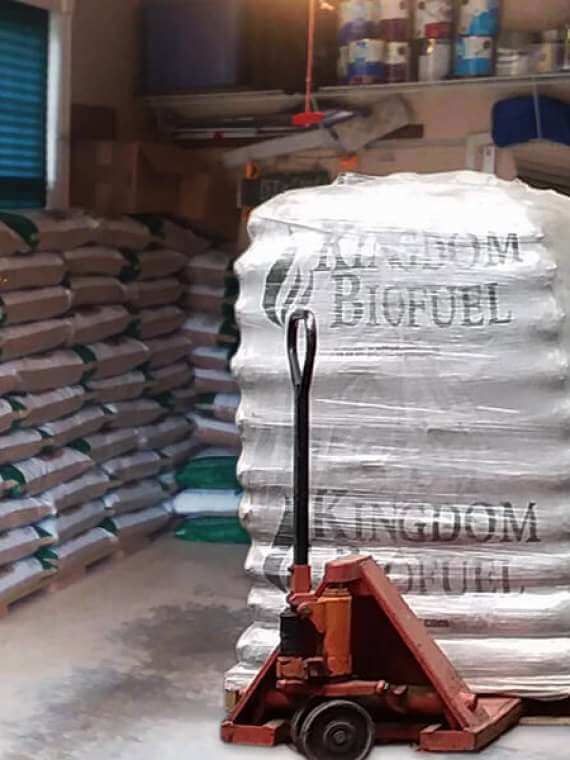 Please keep in mind that burning wood pellets also creates carbon, but the gain in burning pellets is that you are getting something useful out of the waste product while producing carbon. Put it this way, either way, there will be more carbon in the air. The fancy way to say it is, you are using a carbon-neutral heating source! In simple terms, if you allowed the sawdust to rot in the landfill or on a pile, it would produce the same amount of carbon as if processed into pellets and burned to keep your home warm. All-in-all, burning recycled Wood Pellets to heat your home is one of the most eco-friendly heating sources on the planet. Watch the video below to understand what the jargon means. 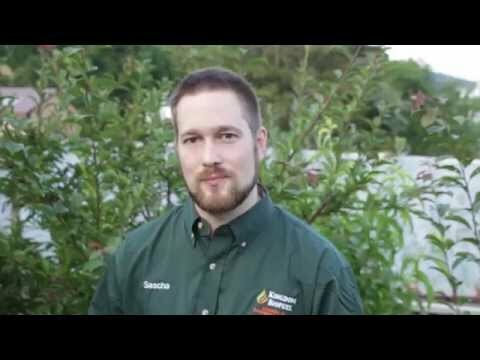 In this video, Greg Pahl explains the details of carbon footprint and how pellets help reduce your footprint. In short, you are making a great choice for the environment when you choose to heat your home with wood pellets. 2. 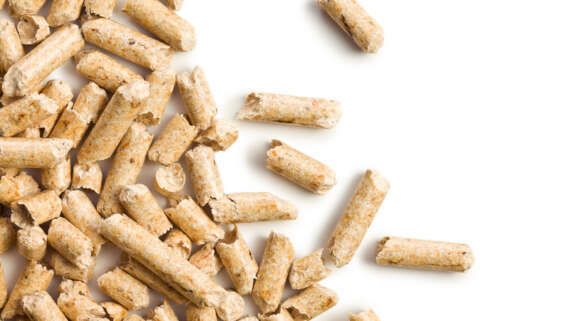 Wood Pellets offer A more stable heating cost. The following graph shows the fluctuation in heating costs to 2015. While heating with wood pellets was not always the cheapest option, notice how little change there was in comparison with other fuels. Furthermore, wood pellet stoves are incredibly efficient. Some stoves have up to an 87% efficiency rating! So the amount of wood pellets used to heat a home depends on how efficient your pellet stove is. Which obviously means you need to be sure you consider the efficiency level of your pellet stove when you’re shopping. Not only are wood pellet stoves energy efficient and eco-friendly, but they are also beautiful and cozy. Like wood stoves, they provide a cozy fire which you can snuggle up to every cold day of the year. In case you are not aware, pellet stoves are connected to a thermostat the same way a furnace is. The thermostat regulates the heat, firing up the pellet stove when it gets chilly, and turning off the stove when it gets warm so that your house stays a consistent temperature. 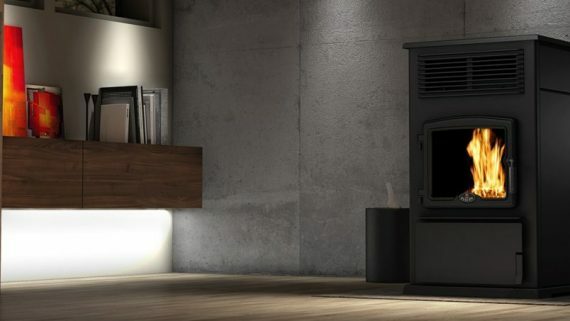 Can a pellet stove heat a whole house? Now we get to heating your home with wood pellets and more specifically, figuring out if a pellet stove can heat your entire home. After we answer that question, we’ll look at how many pellets it will take to heat your home with wood pellets. In short, yes, a pellet stove can heat a whole house. But that all depends on how big your home is. 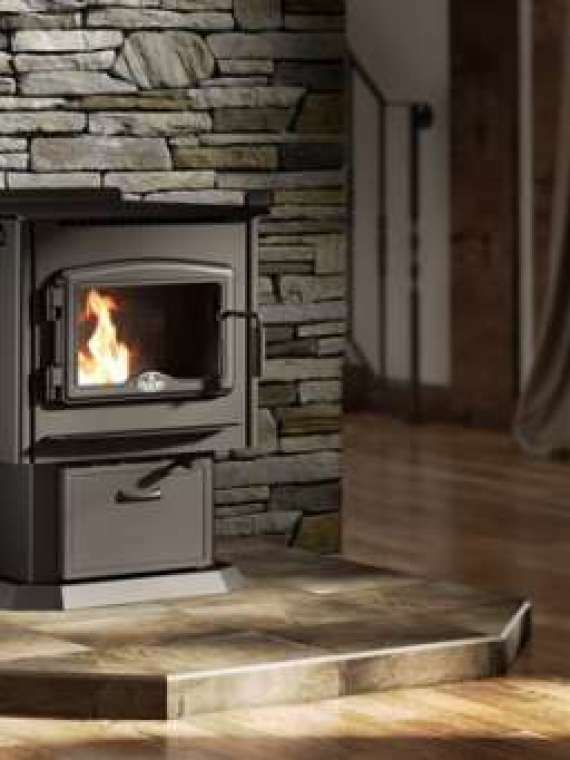 Some pellet stoves can heat up to 2,800 square feet, but there are many variables to consider. How drafty is your home? 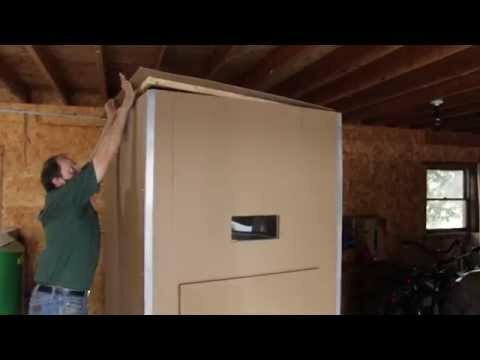 Is your home insulated well? How warm do you like to keep your home? How many rooms need to be heated? How many floors need heat? How harsh of a winter do you experience? 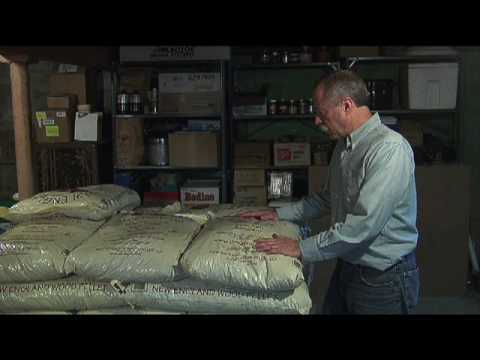 What is the quality of your wood pellets? If your house has many doorways, hallways, and corners, the pellet stove heat may have trouble reaching all areas of your home. This can be remedied with small doorway fans to spread the pellet stove heat evenly throughout your house. Or if your house is two stories, a pellet stove could still heat your entire home. Since heat rises, a pellet stove in your basement or on the ground floor will heat the floors above it. It might be helpful to add a few floor vents throughout your home to allow the heat to rise to the next floors. 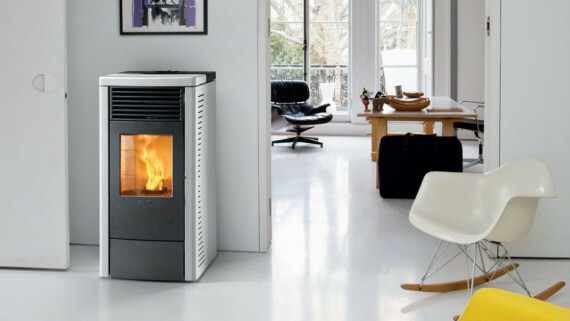 Is the Pellet Stove your Primary Heating Source? 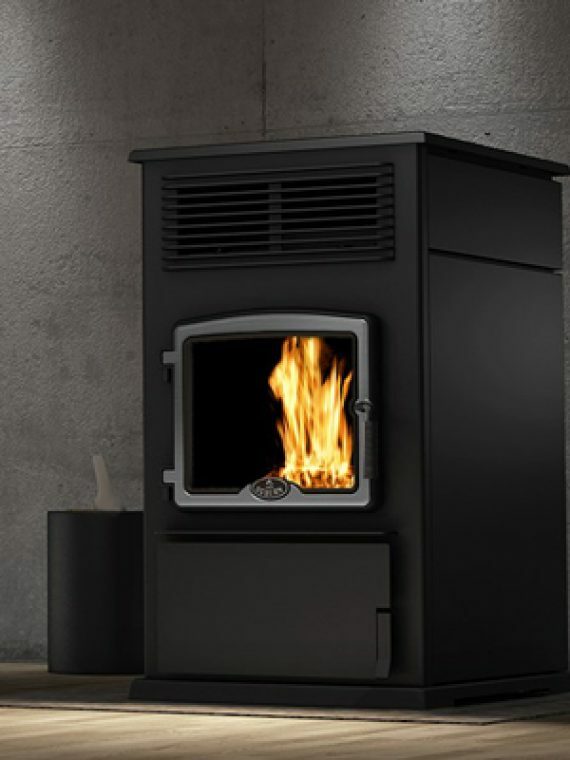 When you think about how many pellets it will take to heat your home, you will want to consider if the pellet stove will be the primary or secondary heat source. Some folks put a pellet stove in the main living area for the cozy atmosphere is creates. Others might want it in the entryway to the house or in the children’s play area (or homeschool room if you are a homeschooler). Many homes use a pellet stove as a primary heating source but keep a boiler system in place in case they need it for backup. Think of it like this. You love the cozy feeling of heating your home with wood pellets, but you also love to travel. Traveling and burning wood pellets don’t work out so well. If you are gone for two weeks and the only heat source is the pellet stove, you will have a big problem when you return! This is where a backup heat source like oil or propane could be a great idea. It will keep the house warm when you are gone for longer periods of time. 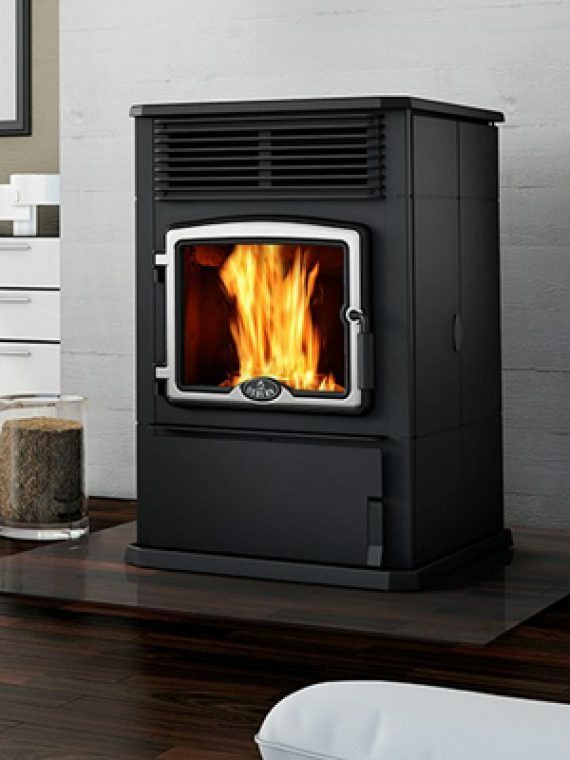 In order to figure out what type of pellet stove is the best heat your home, you could contact us and we’ll guide you through what will be needed to heat your home. Or keep reading and we’ll help you calculate what you might need. That might not be too helpful for figuring out how many pellets it will take to heat your home, but here is a simple way to work it out. Simply go to your current boiler, or wood stove and figure out the BTU rating of the stove. Then it’s simple, just find a pellet stove of equal or greater capacity. 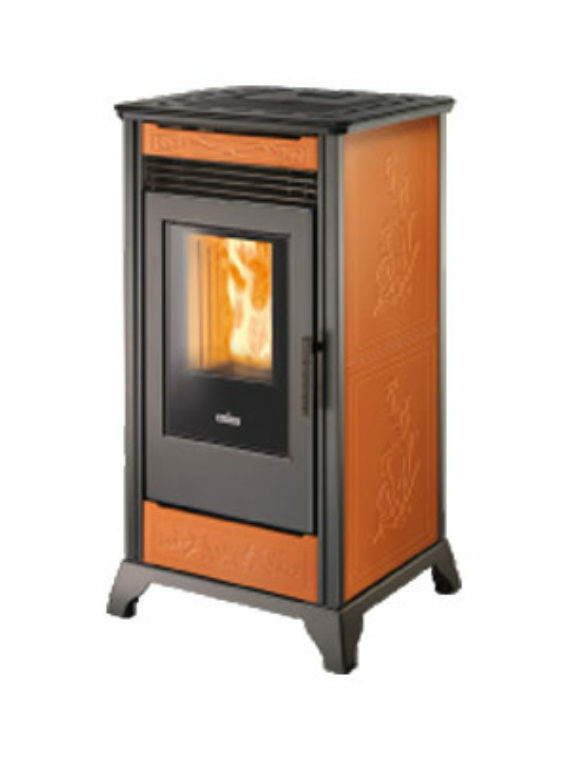 Obviously, if you just want a pellet stove that will supplement your home heating, then you will want something smaller. Again, you can shop our pellet stoves here. On average, it takes about 30,000 to 40,000 BTU’s per hour to keep a 1,200 sq ft home warm in the winter. Some pellet stoves heat a larger area than other pellet stoves and you will need a way to measure what is needed. 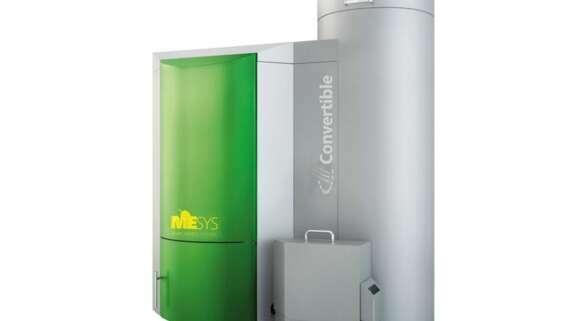 If you are using a pellet boiler, again, consider the BTU output of your current pellet boiler to figure out what kind of boiler you need to heat your home. Here is a helpful chart of the cost of various heating choices. There are several ways to go about this. But let’s begin with the BTU’s we mentioned before. In general, a pound of quality hardwood pellets should produce around 8,300 BTU’s per hour and good quality softwood pellets should produce about 8,600 BTU’s per hour. So if you know the amount of propane or heating oil you use in one year, it could help you calculate the number of pellets needed for your home. For example, say you use 360 gallons of heating oil in one season. That means you will need three tons of wood pellets to heat your home. If you use 480 gallons, you should need 4 tons for the season. 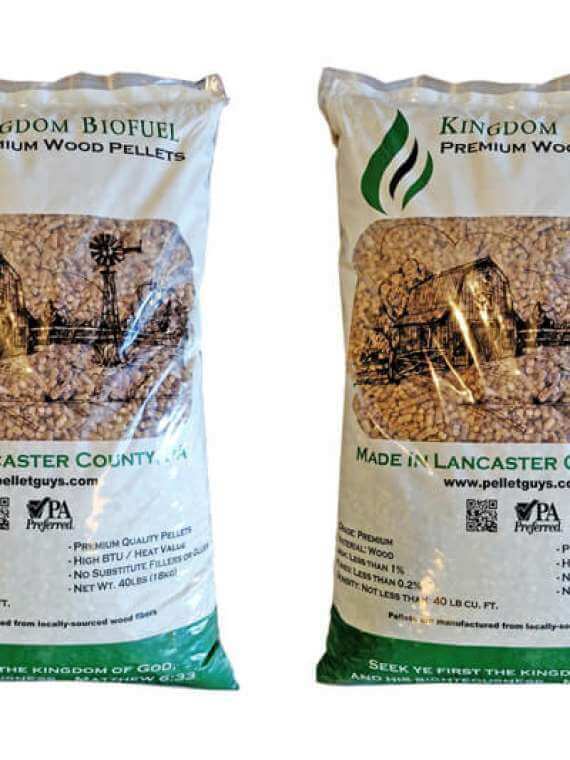 According to some sources, one ton of pellets should equal about 1.5 cords of firewood. Please notice, we say “should.” There are variables. How dry is the storage area where you pellets are stored? Are you buying premium grade pellets? How dust-free are your pellets? And much more. Thankfully, Energy Kinetics has outlined this very well here. They compare various types of heating sources and equivalent BTU and the cost associated with it. They say that wood pellets provide around 8000 BTU/lb for dry pellets. Here is how they recommend finding the equivalent cost for pellets. Multiply the oil heat price per gallon by 115 to give the equivalent price per ton of pellets. Scenario 1: If you pay $3.00 per gallon for heating oil that would be equivalent to paying $345.00 per ton for pellets. Scenario 2: If you pay $1.50 for natural gas, that is equivalent to paying $240.00 per ton for pellets. As you can tell, it all depends…on your home, your comfort levels, your climate and the severity of the winter. In order to figure out what it will take for your home, you should talk to a wood pellet heating professional about your needs.